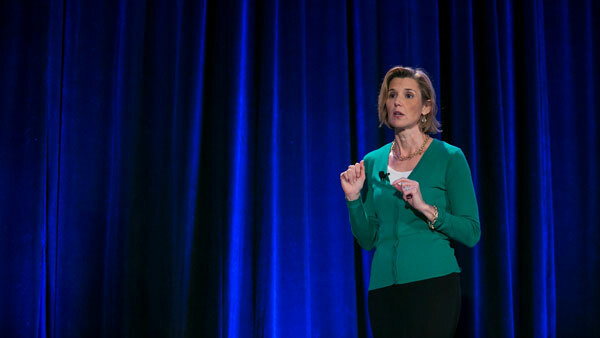 A lack of diversity hurts clients and even the economy, Sallie Krawcheck says. Schwabs Mary Rosai discusses the firms proactive approach to boosting women. As the client base becomes more diverse, it’s clear diversity at advisors’ firms will be important going forward, and it was one of the key topics discussed at Schwab Impact in Denver. In a session on Thursday, Sallie Krawcheck, chair of Ellevate Network, told attendees “groupthink” was one of the causes of the financial downturn and one that didn’t get discussed. In an environment where everyone looks the same and everyone went to the same school, it’s hard to come up with new ideas. Diverse teams perform better than smart teams, Krawcheck said, but many women don’t have a good impression of the industry. Only 15% said the financial services business does a good job serving them. Most said their husband’s advisor talks down to them or doesn’t answer their questions. Interactions like that are bad news for any advisor who hopes to keep or gain any of the enormous assets women control. Krawcheck said $6 trillion is controlled — “not shared with their husbands” — by women, while women share control of $17 trillion. Yet 70% of women will leave their advisor when their husband dies. “The retirement crisis is a gender issue,” Krawcheck said. Women retire with two-thirds of what men do, she said, and they live six to eight years longer. Their “biggest asset is the net present value of their future earnings,” yet few of them ask for raises. Krawcheck said that in client meetings, advisors should stick to talking about goals with their female clients. Women “don’t want to see how the sausage is made,” she said. Women are similar to millennial clients in that they’re interested in values-based investing. Krawcheck said that in a poll of women in the Ellevate network, the No. 1 most important thing in their job was purpose. Money rated only fourth. Similarly, “Mentors matter,” but Krawcheck stressed that even more than mentors, women and any new advisor need sponsors. The difference, she said, is that while a mentor can answer questions, a sponsor will proactively advocate for their protege and offer feedback. If women aren’t getting feedback in their careers, she said, they need to ask for it. Schwab has taken a proactive approach to increasing diversity at the firm with a diversity initiative led by Mary Rosai, director of institutional marketing, and Neesha Hathi, senior vice president of advisor technology services. “How do we get more female advisors when 30% our advisors are female today and half of our advisor firms don’t have a female advisor at all?” Rosai asked in an interview during the Impact conference on Thursday. She referred to research from the Center for Talent Innovation that found 60% of women feel misunderstood by their advisors. Schwab works with the Center on materials to help advisors evaluate how inclusive their culture is, including a questionnaire and articles about what they can do. “If women are feeling underserved, if we can crack that nut first, that’s going to help the industry at large,” Rosai said. As for cultivating female advisors, Rosai said the most common career track for female advisors is to start in the back office and move to the front office. To help them with that transition, Schwab created its Executive Presence program.